2018 Chris-Craft 28 LAUNCH Standard Options Include: Twin Mercury V8 6.2L (300x2 HP) B3 DTS Teak - cockpit steps Teak - beverage holder accents Teak - engine walk-over Teak - grab rails (Aft) Teak - helm footpad / footrests Air Intakes - SS Anchor - bow locker - w/teak and Chris Craft logo inlay Hull - stringer system and liner, 1 piece fiberglass foam filled for floatation and noise reduction Ski Pylon - removable Swim Platform - integral w/ 3-step ladder Trim Tabs - Lenco Ventilation Grates/Stainless Steel Canvas - bimini top w/SS bows and color fast acrylic Door - wind, hinged, folds to deck in bow area Stowage - bow, port and starboard recessed Stowage - coaming w/beverage holders Stowage - fender, hidden Stowage - infloor ski/rod Stowage - port and starboard underseat Windscreen - tempered glass, center walk-thru Cabinetry - wood veneer, hand crafted Toilet - porti-potti Bilge Pump - highwater w/autofloat Switch Bilge System - electric w/blowers Electric Wiring - tinned copper Engine Hatch - emergency lift w/jumper posts Engine Hatch - w/SS hinges, electric rams Engine Hatch Insulation - acoustical barrier, Silver Mylar Fire Extinguish System - automatic w/manual override Fuel System - aluminum tanks w/anti-siphon valves and electric sending units Galley - refrigerator Helm - binnacle mount controls Helm - depth finder - LCD Helm - digital gauge package, Chris Craft branded Helm - engine controls, Electronic Control - EVC/DTS/DEC Helm - horn, electric trumpet(s) Helm - trim tab controls Seating - aft cockpit, port and starboard rear facing sun loungers Seating - aft U-shaped Seating - forward, circular w/forward facing port and starboard lounges Seating - helm, double driver's side w/flip-up bolster (*electric optional) Seating - portside passenger, chair w/flip-up bolster, swivel and SS integrated grab handles Seating - sunpad, large aft w/ transom walk-over (*includes filler pad) Shower - transom Stowage - aft cockpit, underseat Stowage - bimini, dedicated under engine hatch - On Order! COMING SOON! 2017 Chris-Craft 28 LAUNCH Blue Crystal Metallic Painted Hull, Twin Mercury V8 6.2L, Selectable Exhaust, Heritage Trim Edition, Ivory Cream Gelcoat Base, Bimini Top, Ivory Cream Cockpit Base Vinyl with Champagne Insert, Blonde Teak Caulk, Navy Canvas, Bow Docking Lights, Carpet-Woven Seagrass, Dockside Pump Out, Sirius Satellite Radio, Teak Cockpit Table - On Order! COMING SOON! 2012 Chris Craft 28 Launch Extremely well-kept and well-maintained Chris Craft Launch. Exhaust systems on both engines were completely updated and replaced. Hull has fresh pair 2014. 2002 Chris-Craft 28' Launch 28' Chris Craft Launch Heritage. Tri-axle trailer included. 2003 Chris-Craft 28 LAUNCH New to the market, a beautiful 28' Chris Craft Launch! A beautiful combination of classic retro looks, and excellent functionality, the 28' Launch has been a real home-run for Chris-Craft. This Launch has twin Volvo 5.7 GXI's coupled to Duo Prop Outdrives w/ Stainless Steel Props. Teak Sole in the cockpit as well as teak cap rails add class to an already stately yacht. 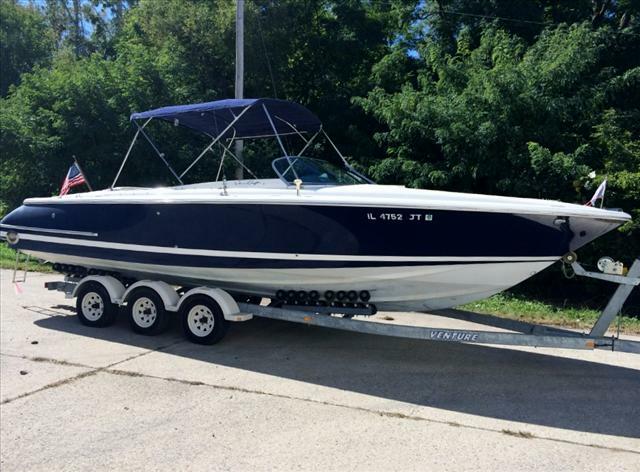 With low hours, a Garmin chartplotter, Clarion Stereo, this boat is sure to make it's next owner HAPPY.Don't hesitate, this boat is priced correctly and is turn key. Freshly Detailed, Serviced, and ready for sea-trial. NEW ALUMINUM TANDEM AXLE TRAILER CAN BE ORDERED FOR THIS BOAT FOR $4,900. NO REASON TO HESITATE...THIS DEAL CAN BE EASY. 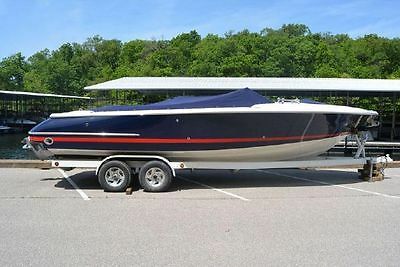 2001 Chris-Craft 28 Launch, Major Summer Price Drop. Any reasonable offer will not be turned down! Beautiful & Instant Classic 2001 Chris Craft 28 Launch. 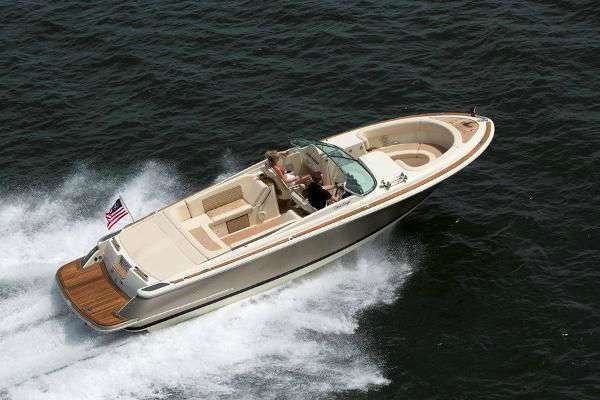 Boat is highly desirable and has all the quality and amenities expected from Chris-Craft. Boat is nautical blue and white with matching blue bimini and canvas. Boat is powered by Twin Volvo Penta 5.7L GSi (duoprops) with only 219 engine hours. 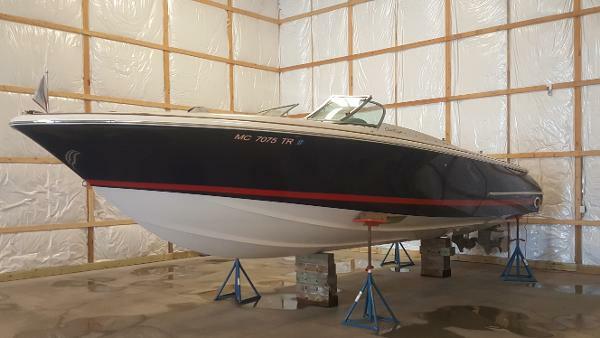 Boat will be fully detailed prior to delivery and includes the triple-axle trailer. 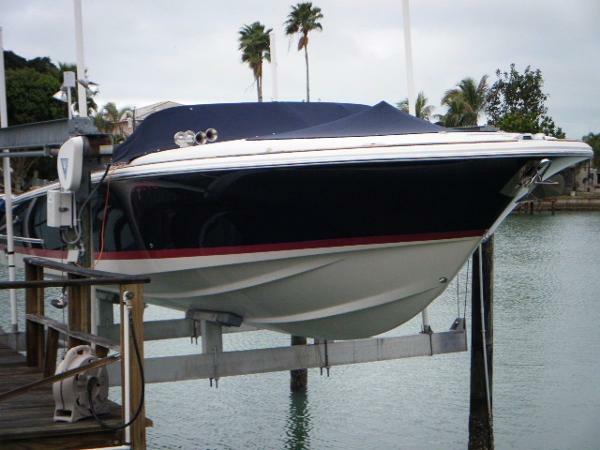 Please visit www.jerrysmajestic.com for more info or call (262)275-5222 to schedule a viewing (Boat is NOT on property). 2004 Chris Craft 28 Launch 2004 Chris Craft 28 LaunchHeritage Package/Teak Flooring ThroughoutTwin 350MAG/300 HP Under 200 Hours2nd Owner Vessel / 8 Year Fresh Water VesselClassic Styling with High End Fit and Finish The Chris Craft 28 Launch Heritage Edition is a high-quality bow-rider with a level of finish seldom seen in production boats. Built on a deep-V hull with a well-flared bow, the amenities aboard the 28 Launch are many. The cockpit is notable, not just for its plush ultra-leather seating and custom entertainment center, but for its simplicity and comfort as well. The old-world dashboard is a nostalgic throwback to the 1950's and an electric engine hatch provides easy access to the engine compartment. The gel-coat is flawless, and the windshield is a work of art.Built on a 10 foot beam! She certainly offers a compelling mix of quality, true elegance powered with a pair of 350 MAG/300 HP Mercs and under a 200 hours of use. The outdrives are Bravo Ones with Stainless Steel Props. Call Today to Schedule a Showing!!! 2008 Chris Craft 28 Launch Heritage Edition This is an immaculate Bow Rider with twin Volvo V-8's with duo props. She's been kept out of the water and under cover. 2001 Chris-Craft Launch 28 Launch, Beautiful & Instant Classic 2001 Chris Craft 28 Launch. 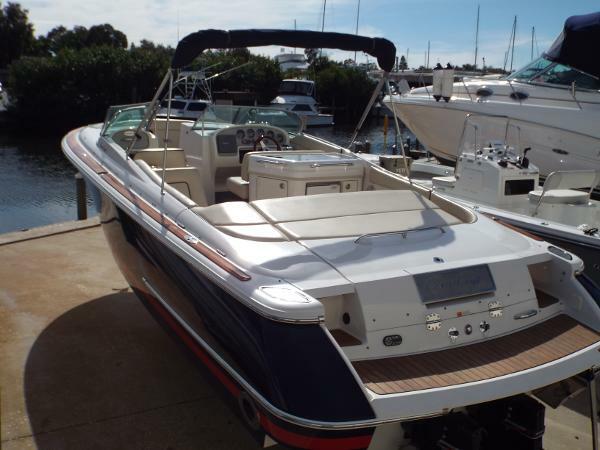 Boat is highly desirable and has all the quality and amenities expected from Chris-Craft. Boat is nautical blue and white with matching blue bimini and canvas. Boat is powered by Twin Volvo Penta 5.7L GSi (duoprops) with only 217 engine hours. Boat will be fully detailed prior to delivery and includes the triple-axle trailer. 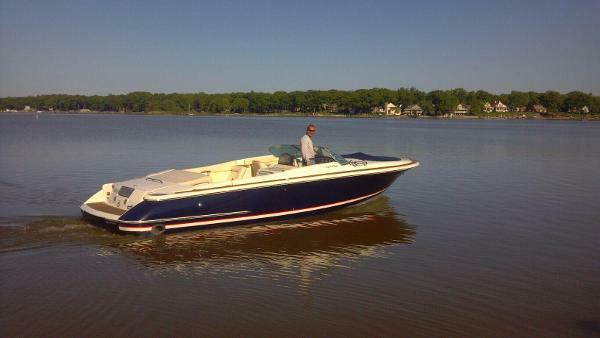 Please visit www.jerrysmajestic.com for more info or call (262)275-5222 to schedule a viewing (Boat is NOT on property). 2006 28 Chris Craft Launch Next to New. Only 94 Freshwater Hours! 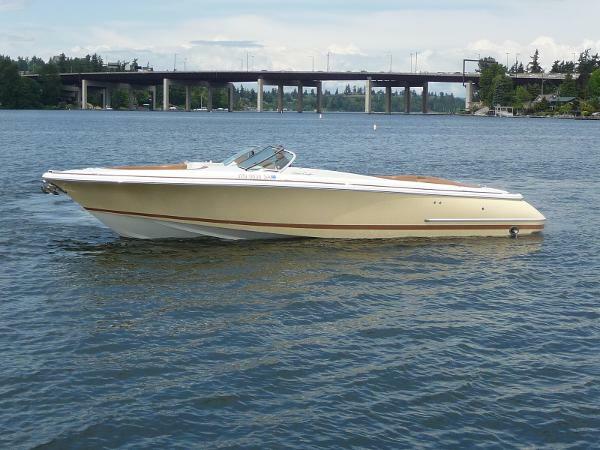 Retro-style bowrider with wide 10-foot beam deliver compelling mix of quality, elegance seldom seen in a production boat. Highlights include ultra-plush cockpit seating, old-world dash layout , custom windshield, flawless gelcoat. Electric hatch provides easy access to engine compartment. Cockpit cooler, transom shower, flip-up bucket seats are standard. Roomy head compartment and large fuel capacity. SERVICED AND READY TO GO. TRAILER AVAILABLE FOR EXTRA COST. JUST BUFFED AND WAXED FROM HULL SIDES DOWN. 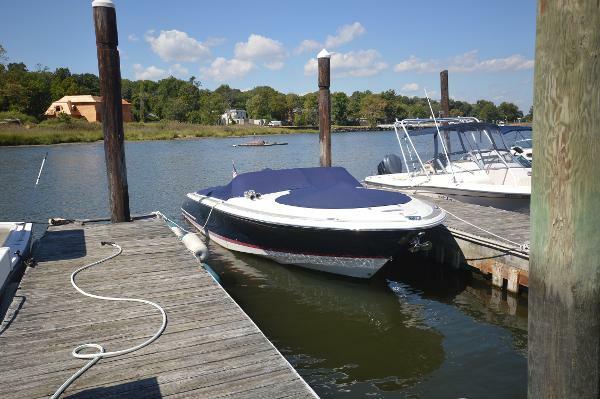 Additional Specs, Equipment and Information: Dimensions LOA: 28 ft 0 in Beam: 10 ft 0 in Minimum Draft: 1 ft 11 in Maximum Draft: 3 ft 6 in Displacement: 7500 lbs Deadrise: 20 ° at Transom Engines Total Power: 375 HP Engine 1: Engine Brand: Volvo Year Built: 2006 Engine Model: 8.1L GI Duo Prop Engine Type: Inboard Engine/Fuel Type: Gas/Petrol Engine Hours: 94 Propeller: 3 blade propeller Drive Type: Stern drive Engine Power: 375 HP Cruising Speed: 35 knots Maximum Speed: 40 knots Tanks Fresh Water Tanks: 1 (35 Gallons) Fuel Tanks: 1 (150 Gallons) Holding Tanks: 1 (10 Gallons) Accommodations Number of heads: 1 Seating Capacity: 12 Electronics Depthsounder Cockpit speakers CD player Radio Compass Inside Equipment Electric bilge pump Marine head Outside Equipment/Extras Cockpit cushions Cockpit shower Swimming ladder Electric windlass Covers Cockpit cover Bimini Top Accommodations Wraparound seating forward, double helm seat with bolster, passenger seat with bolster, u-shape seating aft, sunpad, electric engine hatch, swim ladder, Sony stereo with cd, head compartment, Volvo 8.1L GI 375hp with duo prop and 94 hours, trim tabs, tilt and trim, horns, battery switch, bimini top, trailer available. Tankage 150 Gallons of Fuel/Gas, 35 Gallons of Water, 10 Gallons of Waste. Dimensions 28' LOA, 10' Beam, 3'6" Draft Down, 7,500lbs Weight, 20 Degree Deadrise Aft, 5'5" Clearance. Engines Single Volvo 8.1L-375hp engine with duo prop and 94 hours. RWC.